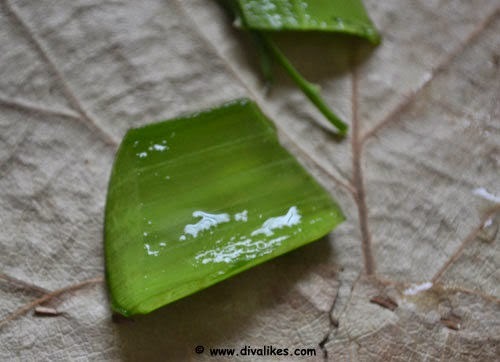 The fleshy gel in the long leaves of commonly grown aloe vera plant is a magical one. The thick aloe gel is used for both beauty and health benefits. It is also a major component in skin allergy treatments. Aloe vera gel is widely available in the market and many brands have come up with a range of products having aloe vera. Aloe gel face packs are efficient for glowing and lightening of skin. 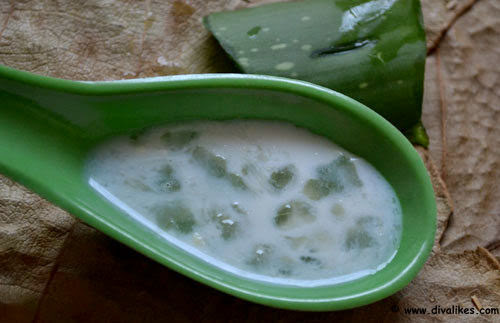 It is easy to prepare aloe vera face pack. The aloe gel can be freshly collected and used within no time, by taking it right from the plant. 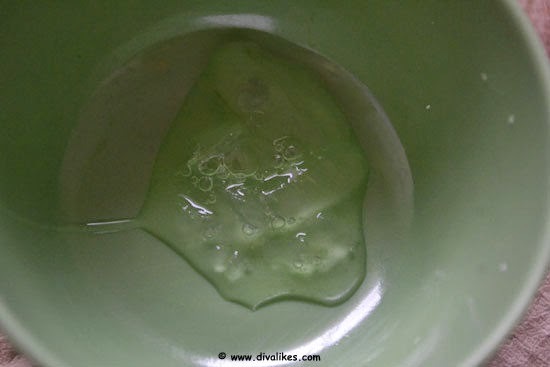 Let's check out the preparation of aloe vera face pack for skin lightening purpose. The Aloe Vera face pack treatment takes just 5 minutes of your time. So this is the easiest and safest skin treatment with sure results. Following this skin treatment regularly makes your skin glow. The aloe gel soothes and nourishes skin, providing an even skin tone. It reduces dark patches and smoothes the dry dead skin. 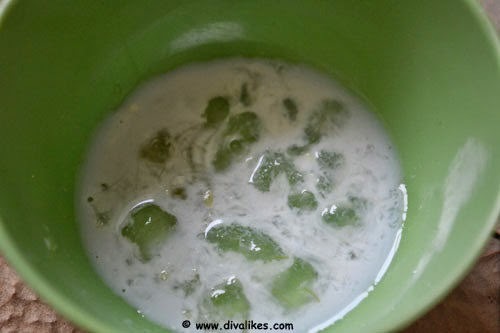 Milk provides moisturizer and good hydration to skin and also contributes to a fair color. Honey is the best home bleach to reduce facial hairs and gives a golden shiny skin. 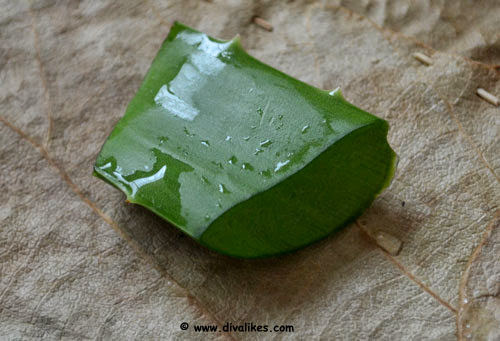 How To Extract Aloe Gel? Slice a small piece of Aloe vera. 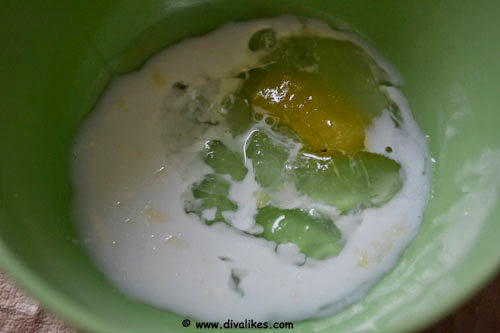 You will find light yellowish liquid oozing out from the sliced aloe. Discard the liquid as it might cause skin infection to sensitive skin. You can even water it out for wiping the yellow liquid. De-thorn the sides and peel the skin on both the sides with a knife. Collect the aloe gel cubes in a clean container. Blending the aloe cubes will make a clean paste of the gel. But usually avoid blending it, as the gel completely sticks to the blender and makes it difficult to take out. Take a clean bowl and place the sliced aloe cubes. Add a spoon of honey and milk. Smash the aloe cubes using fingers as much as you can. Easy homemade aloe vera face pack is ready. Since the pack is of liquid consistency, you might experience dripping in the beginning. But the gel and honey will stick to your skin and make the face pack tight within no time. Apply the face pack all over your face and neck. Leave it on for 15 minutes. It is best to apply the face pack in the shower room to avoid mess. You might get pieces of gel. Do not discard them, instead place them in the affected skin area. Remove after drying. The pack does not dry completely as the gel and honey are sticky. Wipe out with warm water and pat dry. Hope you find this DIY helpful. Do let us know your views in the comments! 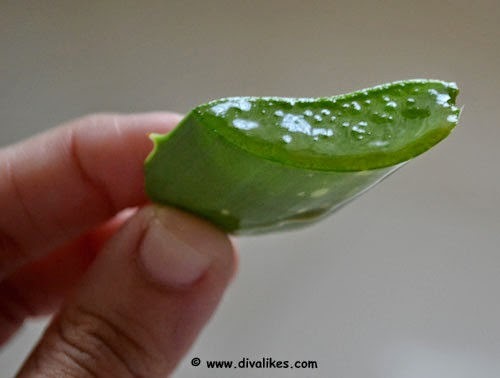 Fresh aloe vera face pack is the best...its great for pimples and acne too! How many times we have to apply this gel?